Dr. Magnuson is a professor emeritus of the Department of Integrative Biology (formerly Zoology) and director emeritus of the Center for Limnology at the University of Wisconsin-Madison. 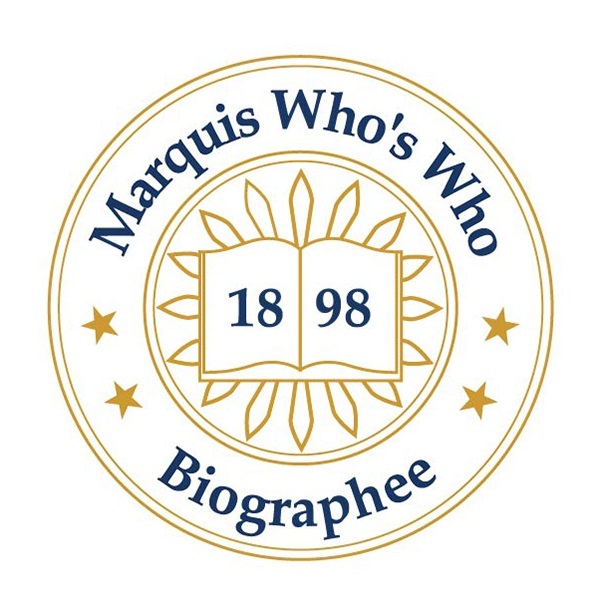 MADISON, WI, August 17, 2018 — Marquis Who's Who, the world's premier publisher of biographical profiles, is proud to present John J. Magnuson, Ph.D., with the Albert Nelson Marquis Lifetime Achievement Award. An accomplished listee, Dr. Magnuson celebrates many years' experience in his professional networks, and has been noted for achievements, leadership qualities, and credentials and successes he has accrued. As in all Marquis Who's Who biographical volumes, individuals are selected based on current reference value. Factors such as position, noteworthy accomplishments, visibility, and prominence in a field are all considered during selection. Dr. Magnuson has been a professor emeritus of the Department of Integrative Biology (formerly Zoology) and director emeritus of the Center for Limnology at the University of Wisconsin-Madison since 2000. As an aquatic ecologist and limnologist with a special interest in fish and fisheries ecology, Dr. Magnuson has a strong interest in seeing science used in solving real world issues related to conservation of species, climate change, and fisheries. He received a Ph.D. in zoology with a minor in oceanography from the University of British Columbia in 1961. Before joining the faculty at the University of Wisconsin-Madison, he served as chief of the tuna behavior and physiology program at the Honolulu Biological Laboratory, Bureau of Commercial Fisheries, U.S. Fish and Wildlife Service from 1961 to 1967. First hired at UW-Madison as an assistant professor in 1968, Dr. Magnuson soon advanced to associate and full professor and became emeritus professor at his retirement. He taught “Ecology of Fishes” and “Limnology – the Conservation of Aquatic Resources” until he retired; he mentored graduate students who earned degrees in zoology, oceanography and limnology, or water resource management. In 1975-6 he served as a rotator for one year as the program director for the Ecology Program, Division of Environmental Biology at the National Science Foundation, Washington, D.C. In 1984-5 he conducted research on fish ecology for one year in Finland, Sweden, and England, and visited the Department of Ecology at the University of Barcelona in Spain. In 1992 he received a midcareer fellowship from the National Science Foundation that he used at the University of Washington-Seattle. Dr. Magnuson was a productive faculty member during the 41 years before his 2000 retirement. He mentored graduate students through 37 PhD degrees and 71 MS degrees. He authored or coauthored 187 peer reviewed articles and 5 books. Two key accomplishments during these years should be mentioned in some detail. First, he led the establishment in 1981 of the North Temperate Lakes Site for Long-Term Ecological Research (LTER) at UW Madison. Six LTER sites were funded by the National Science Foundation in that first call for proposals. Each site submitted a proposal for continuing funding every 6 years. In 2000 when he stepped down as lead PI of the North Temperate Lakes site, a total of 24 sites existed; it was a major program at NSF. Magnuson coined a metaphor of the “Invisible Present” to make the point about not being able to understand ecosystems without a long-term temporal context (Magnuson, 1990, Long-term ecological research and the invisible present, BioScience). The challenge was to uncover processes hidden because they occur slowly or because effects lag years behind causes. He argued that “In the absence of long-term research, serious misjudgments can occur in attempts to manage the environment.” Dr. Magnuson also was a significant contributor to the network of LTER sites seeking to understand common dynamics of a diverse set of ecosystems such as prairies, forests, deserts, arctic and alpine tundra, and marine and inland waters. At various times before and after 2000 he chaired network steering and executive committees and the entire LTER network of sites. Second, he led the effort to make limnology at UW-Madison, then a part the Zoology Department, into a Center for Limnology directly reporting to the Dean of the College of Letters and Sciences. This important change was needed because limnology served the entire campus and operated two field stations, the Trout Lake Station in the northern Wisconsin and the Limnology Laboratory on Lake Mendota in Madison. When he first came in 1968 to UW-Madison, Magnuson had been made the Director of the Trout Lake Station. The Center was formed in 1982 with Magnuson as the founding director. The Center has flourished and continues (google Center for Limnology Madison). The faculty and the program grew within an organizational and funding structure designed to serve the broader aquatic community in Wisconsin and beyond. During these years, Magnuson demonstrated his interest and abilities to see science used to help resolve real world issues. Here are some examples. He was a lead author of the 1995 and 2001 assessments by the Intergovernmental Panel on Climate Change (IPCC) where he led a group of inland water ecologists to add inland waters to the assessment of impacts of climate change. Through the National Research Council of the National Academy of Sciences he chaired studies on contentious fisheries and conservation issues of the day; the published books evaluated the future of U.S. fishery management, bluefin tuna management across the Atlantic Ocean, conflicts between protection of sea turtles and their mortalities from shrimp fisheries, and Pacific salmon and society in the Pacific Northwest. Presentations were made to the responsible agencies and affected groups, as well as a congressional committee. He served on the science advisory board of the U.S. Environmental Protection Agency from 1979-1981. 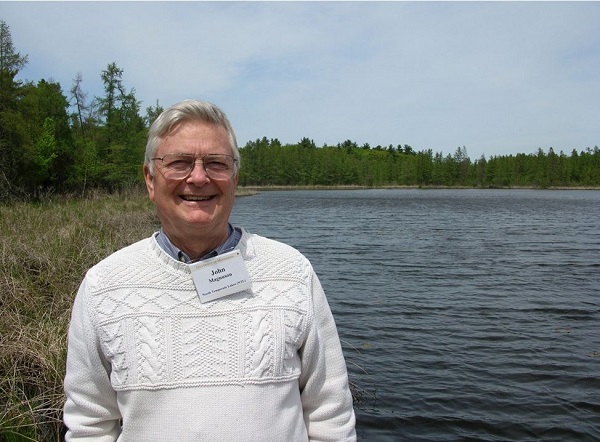 In the Great Lakes Region, he served on the science advisory boards of both the International Joint Commission on Great Lakes Water Quality and the Great Lake Fisheries Commission in the late 1970s and early 1980s. A related activity was to co-organize a US and Canada effort to understand the components and design a program to Rehabilitate Great Lakes Ecosystems. At the state level he participated in a review on limited entry in commercial fisheries of Lake Michigan for the Wisconsin Department of Natural Resources. At a local level he chaired Research Review Committee of the Leopold Memorial Reserve from 1988-2000. After becoming Emeritus Professor in 2000, Dr. Magnuson continues to be productive of science publications and advancing the use of science in public policy and resource management, and he has become more active in public outreach. For examples, since 2000 he authored or coauthored 56 more peer-reviewed scientific articles or book chapters as well as a book synthesizing long-term research on north temperate lakes at UW-Madison. He, with T.K. Kratz, and B.J. Benson co-edited “Long-term dynamics of lakes in the landscape” published in 2006 by Oxford University Press. His interest in the use of science in policy and management has focused more on state and local issues and less on international or national efforts. Examples include: the Wisconsin Academy of Sciences, Arts, & Letters where he had previously co-chaired activities on “Waters of Wisconsin” and in the 2000s co-led a 10-year review of how things had changed; co-chaired the Wisconsin Initiative on Climate Change Impacts (WICCI) on climate change in Wisconsin conducted by UW-Madison and the Wisconsin Department of Natural Resources; served as a trustee for the Wisconsin chapter of the Natural Conservancy 2005-2014; and served on the Lakes and Watershed Commission for Dane County, Wisconsin. He chaired a National Research Council study on “Dynamic Changes in Marine Ecosystems: Fishing, Food Webs, and Future Options” published in 2006 by the NRC. Throughout his years he has been frequently invited to be a plenary or symposium speaker at scientific meetings or a lecturer at universities, and agencies; many of these are international meetings. Since 2000 he has given _240 talks to general and technical audiences on climate change and impacts on fishes, inland waters, and lake ice. He enjoys outreach activities with young and old during many limnological field trips onto Lake Mendota, Wisconsin. Dr. Magnuson received recognitions for his contributions. For examples, an Award of Excellence by the American Fisheries Society, a scientific organization that he had joined when he was a student and had been its president in 1977; a Lifetime Achievement Award by the American Society of Limnology and Oceanography; an Outstanding Achievement Award in 2003 from the University of Minnesota where he had completed his Bachelor of Science in 1956 and his Master of Science in 1958; a Hilldale Award in the Biological Sciences Division of the University of Wisconsin-Madison in 2000; Team Member of the Month by the National Oceanographic and Atmospheric Administration in 2002; and a Fellow of the Wisconsin Academy of Sciences, Arts, & Letters in 2014. Dr. Magnuson has been showcased in close to 20 editions of Who's Who in America and Who's Who in the Midwest. In recognition of outstanding contributions to his profession and the Marquis Who's Who community, John J. Magnuson, Ph.D., has been featured on the Albert Nelson Marquis Lifetime Achievement website. Please visit www.ltachievers.com for more information about this honor.